Libertyville | Reliance Plumbing Sewer & Drainage, Inc. 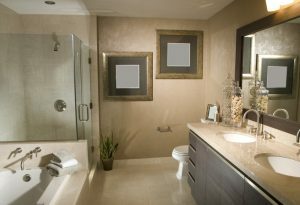 Drain clogs are an unfortunate part of life, particularly when they occur in one of the most used spaces in your home—the bathroom. Taking care of backed-up drains tends to be one of the most basic jobs of a professional plumber in Libertyville, IL, as we know how to tackle a wide range of causes for clogged and slow drains. For instance, we might be removing clumps of hair caught in the p-trap of the sink, retrieving objects accidentally flushed down the toilet, and cleaning soap scum that’s built up in your shower drain. We’ll explore these below, talking about how you can prevent drain clogs, and also reveal a couple other surprising reasons homeowners suffer from drain problems in their bathroom.